The Pinnacle SL600 has earned its name and reputation for standing above the rest. 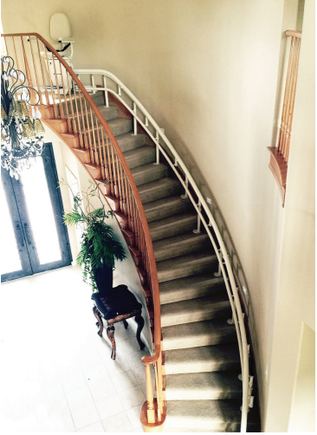 Design, Form and Function come together to make Pinnacle the most reliable, durable, and sought after stair lift on the market. 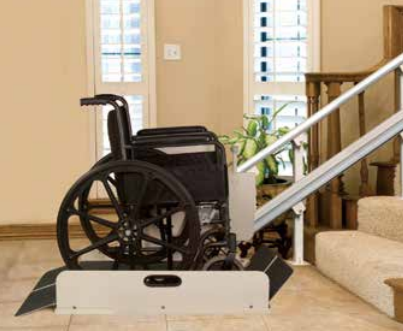 The innovative Sierra IL500 is ideal for transporting a user and their manual wheelchair up a straight stairway. 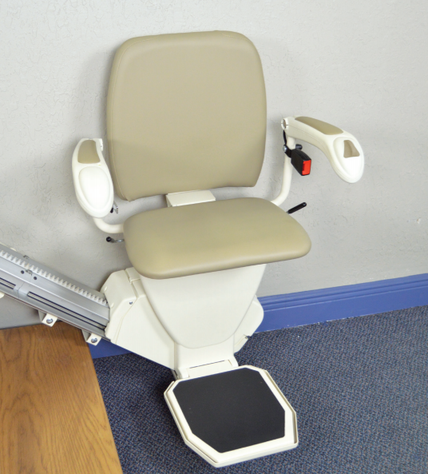 Get Bruno's most popular straight stairlift, the Elan. Bruno's Elan offers years of dependable use with Made in America quality. The Elan stair lift comes standard with a variety of features to meet your individual needs. With a unique low-profile rail design, Bruno's Elan stairlift leaves plenty of open space on the steps for family members. 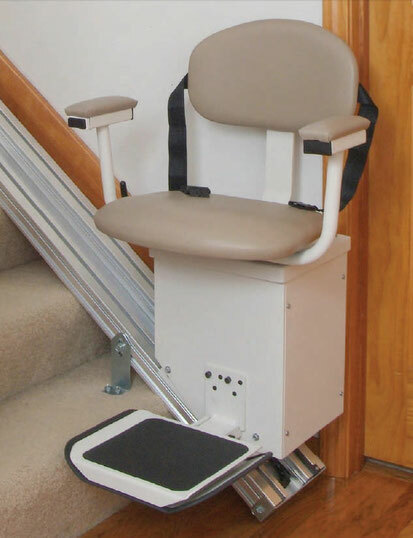 Combine quality, comfort and style with an Elite stair lift. The Bruno Elite stair lift offers worry-free access and a premium design that seamlessly blends into your home’s environment. 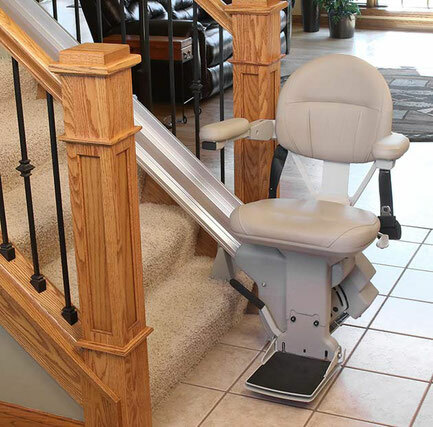 Consider options such as power swivel seat and power folding footrest to customize your Elite stair lift to match your unique situation. Enjoy your outdoor living spaces with the Bruno Elite Outdoor stair lift. Designed to withstand varying climates, the Elite Outdoor stair lift combines easy functionality with sturdy design. 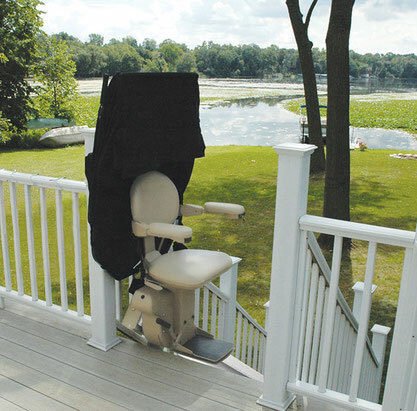 A lightweight cover travels with the chair lift to provide protection when not in use. 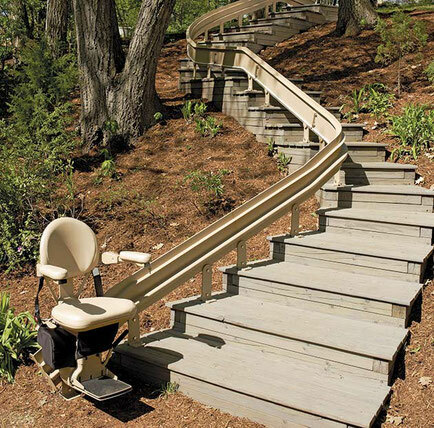 Count on your Elite Outdoor stair lift year round. Weather-proofed to withstand the elements. Harmar’s Outdoor Stair Lift is engineered with a durable extruded aluminum track and marine-grade vinyl seating to handle rain, wind, snow, and temperatures from 0° to 125° degrees. Includes header, internal chassis, and large weatherproof covers for even more protection. The Helix Curved Stair Lift offers a narrow profile that mounts closer to the wall, with tighter bends. The ride is ultra smooth--and whisper quiet! Every Helix CSL500 is engineered and built to order. 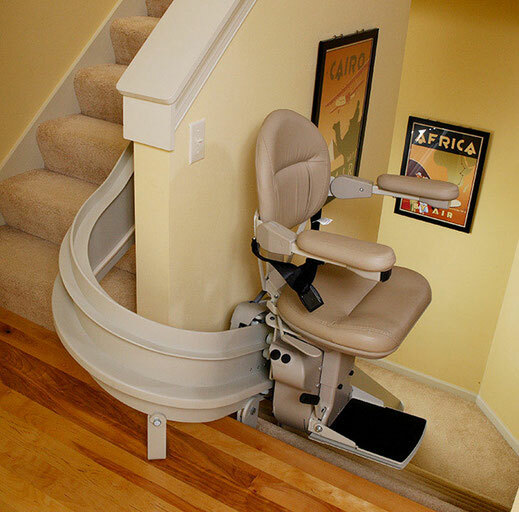 Each custom stairlift is unique to the home and stairway it is installed to. 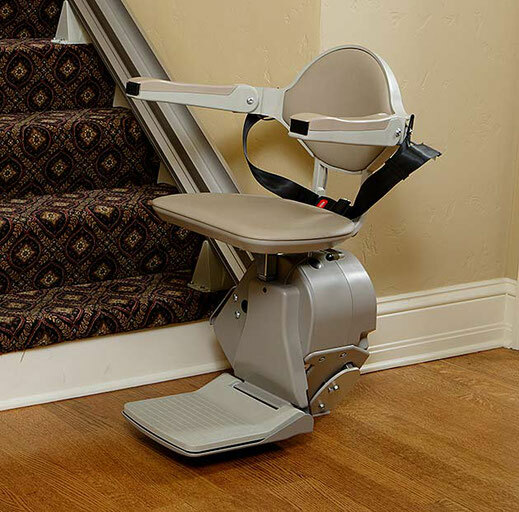 Enjoy the stair lift built specifically for your home. 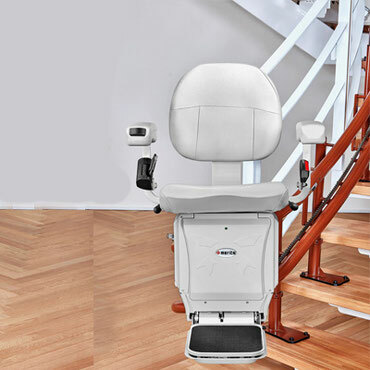 The Bruno Elite Curved stair lift delivers an unmatched smooth, quiet ride from start to finish. With Bruno's signature stair lift, the quality and comfort are second to none. Add power options to further customize your Elite curved chair lift to fit your lifestyle. Access your outdoor living spaces with an Elite Outdoor Curved stair lift. Custom-made for your stairs, the Bruno Elite Outdoor Curved stair lift precisely matches the distance, elevation and angles of your stairway. Relax outdoors with an easy-to-use Elite Outdoor Curved stair lift - built specifically for your home. Seat to footplate height 17"-20"